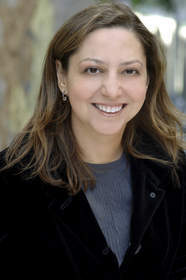 NEW YORK, NY--(Marketwired - Mar 25, 2015) - Dr. Marianna Farber helps patients renew both the health and appearance of her their teeth and gums at her Manhattan cosmetic dentistry practice. One of the options Dr. Farber offers is called a smile makeover, which can combine both cosmetic treatments and the latest restorative dental techniques to completely rejuvenate one's smile. Able to repair chips and cracks, dramatically brighten tooth color, straighten misaligned or crooked teeth, reshape uneven or worn teeth, or even replace a missing tooth, Dr. Farber says a smile makeover can not only revitalize a person's appearance, but also provide a boost of self-confidence. In a blog post titled "What Can A Smile Makeover Do For You? ", Dr. Farber explains that the exact components of a smile makeover differ for each patient, depending upon his or her individual functional and cosmetic concerns. Porcelain veneers, porcelain crowns, teeth whitening, Invisalign®, and dental implants are some of the tools and techniques that can be used in a typical smile makeover. There are many choices for the patient and the dentist to make regarding the design of the treatment, says Dr. Farber. She helps patients understand important distinctions, such as the advantages of porcelain crowns versus porcelain veneers, so they can make well-informed decisions about their oral health while achieving their cosmetic goals. While most patients are excited by the potential benefits of a smile makeover, Dr. Farber says the question of smile makeover costs is frequently raised. "The cost of a smile makeover is largely based upon the number of procedures you require, as well as the number of teeth that need to be treated," says the New York City cosmetic dentist. However, Dr. Farber says she is intent on trying to make a beautiful smile available to all her patients. She notes that Contemporary & Esthetic Dentistry can help patients navigate potential coverage from their insurance providers, and the practice works with healthcare financing companies that can assist qualified applicants who may want to pay for the procedure in low-interest installments. With financing options to make treatments as conveniently affordable as possible, plus a full range of options that can improve one's oral health and the appearance of their teeth and gums, Dr. Farber hopes to make the dream of a perfect smile an attainable goal for everyone. Dr. Farber is a graduate of the New York University College of Dentistry and went on to complete residency training at St. Barnabas Hospital in the Bronx. She is dedicated to remaining a leader in the fields of cosmetic and restorative dentistry and attends various continuing education courses throughout the year. Dr. Farber is the founder of the Contemporary & Esthetic Dentistry and serves patients in the Midtown and Manhattan area of New York. She is an active member of the American Dental Association, the American Academy of Cosmetic Dentistry, and the International Congress of Oral Implantologists. Dr. Farber is available for interview upon request.